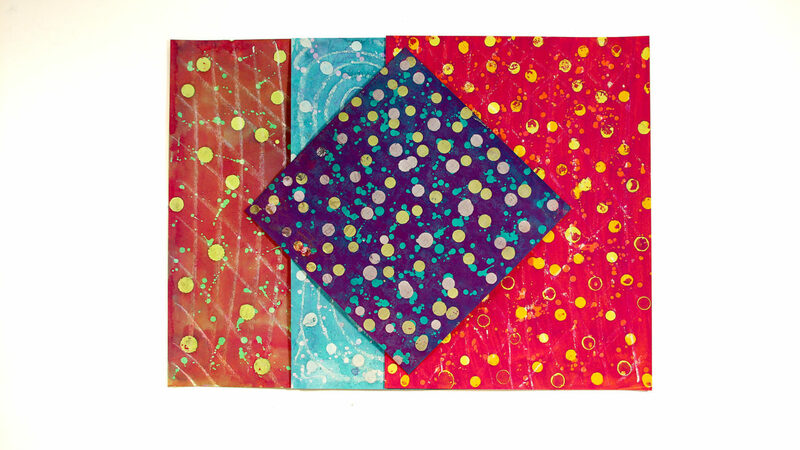 Learn how to use wax resist on card stock to create beautiful papers. Barb shows you a step by step easy fun process that begins with marks made by a simple candle followed by a wash of paint. Then, more wax. More paint. Repeat. It’s so much fun to see the final results when the paper is revealed. Sound like fun? It is!! What is Creativity? According to one dictionary, “Creativity is the use of the imagination or original ideas, especially in the production of an artistic work.” My favorite part of that definition is “the use of the imagination”. Did you know that using your imagination is no different than using your physical muscles? If one of your limbs is immobilized in a cast, the muscles quickly lose tone and strength. It takes time to build them back to their optimum condition once the cast is removed. Similarly, imagination, if ignored for a period of time, gets rusty and it’s easy to feel like it no longer exists. If you feel like this, I have great news. Your imagination is still alive and well. All you have to do is exercise and build it up! The easiest way I’ve found to do that is to begin making something and it doesn’t matter what it is. Just make something! Play and create - just for the sake of creating. You never have to show it to anyone. The important part of this activity is simply starting and doing. When I’m feeling unimaginative, I make papers. I make piles of papers and I try very hard not to judge my results. Many of the ones I deem “ugly” today are my favorites tomorrow. 😉 Once I begin playing, I feel the rumble of “What if?” It’s one of the very best questions because it leads me places I might never have thought about. The questions that sparked this class: What if and how can I create interesting papers in a way that I’ve never tried before? What do I have in my creative space that inspires me to play? That’s all I needed and I was lost with my imagination and creativity for several days as I experimented with techniques, patterns and colors. My best ideas always arrive when I am creating just for the sake of creating! For this class, I encourage you to create and have fun! Let your imagination loose. Allow yourself to get lost in creativity and see what happens. The technique is easy to master. The results are beautiful and you’ll quickly have papers unlike anyone else in the world! So, let’s get started.